Great full day Inka trail with a sunset experience in Machupicchu ,The Inca Trail is surrounded by the Andean mountains, primitive lush vegetation and extraordinary ecological varieties. The trail goes through the Machupicchu National Park and enters through Inti Punku “The Sun Gate” with unforgettable views of Machu Picchu. Upon arriving to Machu Picchu, enjoy a Sunset free time in Machupicchu. Next day get a Sunrise guided tour in Machupicchu, with full of fresh energy and good Mother earth energy, enjoy free time to explore the places such as the Inka Bridge. In the afternoon we can enjoy the hot springs of Machupicchu village. Last day climb the Huaynapicchu or Machupicchu Mountain. According entrance fees time we can climb the Huaynapicchu or Machupicchu Sacred Mountain, Afteroon train back and transfer to Cusco. INCA TRAIL 3 DAYS 2 NIGTHS TO MACHUPICCHU. By 9:00 am free Time to Explore Machupicchu on your own step “Great time to visit the Inca Bridge”. Optional: In the Afternoon, you can enjoy the hot springs in Aguas Calientes village. By 7:00; Climb the Huaynapicchu or Machupicchu Mountain. Day 1: Cusco – Ollantaytambo – Km 104 “Chachabamba” – Wiñaywayna – Inti Punku – Machu Picchu – Aguas Calientes. Our trek today takes us along the most impressive stretch of the Inca Trail. We'll visit beautiful Inca sites, see a variety of flora and fauna and get to take in the fantastic panoramas of the Andes Mountains. Covering 10km of the trail our journey begins in the Sacred Valley and works it's way up along an original Inca Trail to the Inca site of Winay Wayna before continuing on to Machu Picchu via the Sun Gate (Inti Punku). As we make our way to Machu Picchu we'll pass through the lush and verdant cloud forest that covers the mountain and get to see a variety of plants, flowers and birds along the way. We may also see some larger mammals such as Viscachas(rabbit-like Chinchillas) and Spectacled Bears (if we are very lucky). After a full days trekking we'll arrive to the Sun Gate (Inti Punku) in the late afternoon and get our first views of Machu Picchu spread out on the mountain below. The light at this time of day is great for photos and with fewer tourists in the site it's a perfect time to take some pictures of the site. Free time to Enjoy the Sunset in Machupicchu After we've passed through the Sun Gate we'll carry on along the trail a little way before taking a side trail that leads us to Aguas Calientes in the valley below where we'll check in to our hotel. A 2 hour guided tour takes you into the fascinating history of these mysterious Inca city. After that you will have plenty of time for further exploration of Machu Picchu, time to enjoy the Sunset in Machupicchu . Later we head down to Aguas Calientes for dinner. In the evening (6:20pm) you will take the return Expedition train to Ollantaytambo and catch our private van to Cusco and your hotel. You will arrive around 10:30 pm. Approximate Walking Time:Time:6 - 7 Hours. Day 2: “Sun Rise” – Machu Picchu. We´ll start our second day with breakfast at 5:00am at our hotel and then head out to the bus station in Aguas Calientes to take a bus up to Machu Picchu. Machu Picchu is at an altitude of about 2400 meters. We´ll have a guided tour of Machu Picchu that will last about 2 hours and afterwards you´ll have time to roam around the ancient city on your own to soak up the magical atmosphere. When you feel like you´ve seen most of the city for the day, you can take one of the busses back to Aguas Calientes to have the rest of the day to yourself to wander, buy souvenirs, or visit the local hot springs which has an entrance fee of 10 Peruvian Nuevos Soles. Day 3: Huaynapicchu or Machupicchu Sacred Mountain – train back – Cusco. Today we´ll start with a breakfast at the hotel before we head back to Machu Picchu. We´ll take a bus from Aguas Calientes to Machu Picchu. Depending on your entrance time for Huayna Picchu or Machupicchu Mountain you can walk around for a while before entering, but they are very strict about the entrance times, so make sure to be on time! You will need to show your entrance ticket for Huayna Picchu or Machupicchu Mountain and your passport. If you had a student discount when you booked, you will also need to show your ISIC (International Student Identity Card). 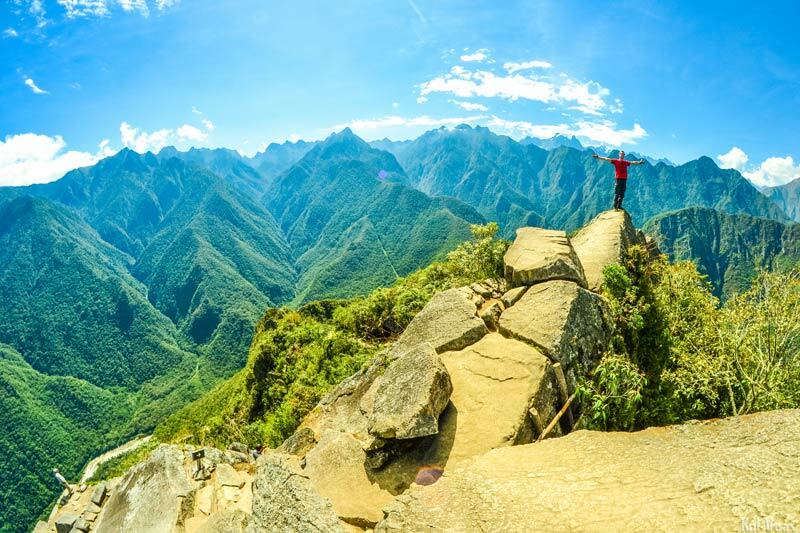 It should take about 45 minutes to get to the top and once there you can rest from the strenuous and daunting climb up the mountain as well as enjoying the wonderful view of Machu Picchu and the surrounding mountains and valley. After climbing back down to Machu Picchu you can roam around Machu Picchu again or you can go back to Aguas Calientes right away. You can take a bus down to Aguas Calientes and from there, depending on your train schedule take your Expedition train to Ollantaytambo. In Ollantaytambo you will be picked up and driven back to Cusco. Note: The time table for the trains may change according to the train company´s availability. There will also be changes to your itinerary and price if you decide to change your departure time, or upgrade to the Vistadome Train. If you booked later than most of your group for your Inca Trail Trek to Machu Picchu, you may not be in the same train as the rest of the group. Inca Trail Briefing: One day before “briefing about your trail with our staff at our office”. Inca Trail Pick up: Pick up at your hotel by your guide, time will be confirmed at the day of your briefing. Inca Trail Transfer: Private transport from your hotel to the train station. Inca Trail Tour Guide: English speaking professional guide experienced in trekking and degree in archaeology for Inca Trail and Machupicchu inca city. 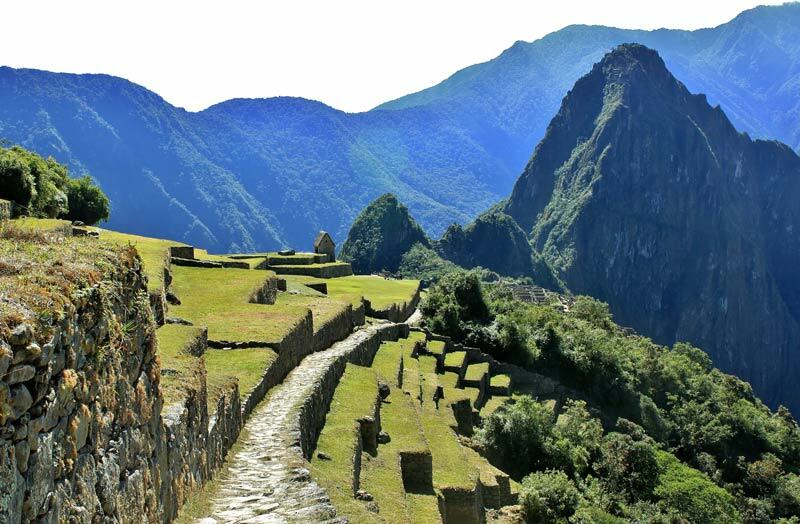 Inca Trail Entrance fees: Admission Ticket to the Inca trail, it will be send to you at the time of your booking. 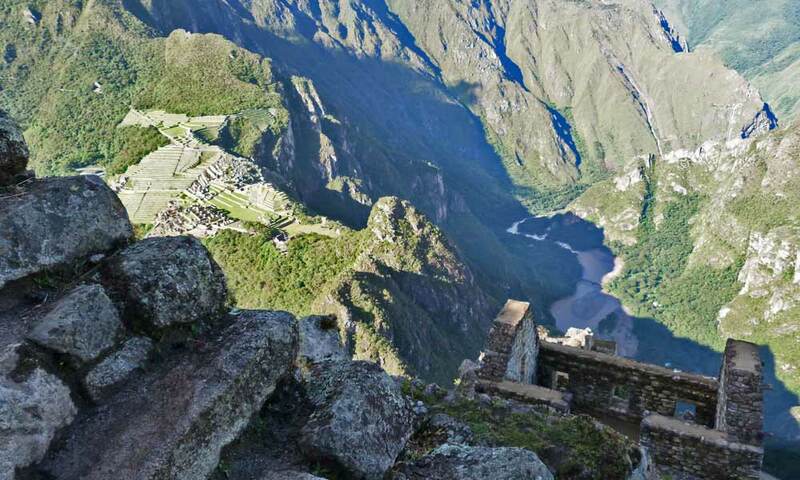 Machupicchu entrance fees: Admission Ticket Machu Picchu Inca City. Inca Trail meals: 1 Box lunch + 01 Dinner in a Machupicchu restaurant just on 1st day“please check menu”, vegetarian option is available at no extra cost. Inca Trail behind the scenes: Sunset Free time in Machupicchu 1st day and Sunrise Guided Tour on 2nd day, 3rd day Huaynapicchu or Machupicchu Mountain. Inca Trail Huaynapicchu or Machupicchu Mountain: Huaynapicchu or Machupicchu Mountain entrance fees. Inca Trail safe first: First-aid kit including emergency oxygen tank also an emergency radio and satellite phone is carried by your guide. Bus ticket from Machu Picchu to Aguas Calientes for the 3 days. Hotel in Machupicchu, we have some options on request, and prices will vary depending of the category of your preference. Also We have our own backpacker hostel in Machupicchu and you can get it for free, breakfast included. Hotels options are available just on request, and prices will vary depending of the category of your preference. Also you can book by yourself or using some websites such as booking.com. This map shows the route of the Inca Trail 3 days that start on km 104. Chachabamba and ends on Aguas Calientes, Machu Picchu Village.